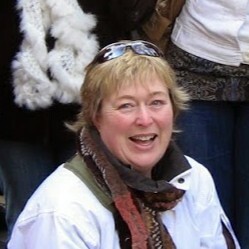 Mags Amond is a retired secondary school science teacher currently pursuing a PhD School of Education in Trinity College Dublin. On her last day of student life at UCG in 1980, she had a chance meeting with a computer which sparked a lifelong interest in the use of technology in education, physical computing in particular. Mags spent several years seconded to the Dept of Education Second Level Support Service (now the PDST) which involved developing and delivering professional development for peers. This all eventually led to the volunteer professional network world of CESI, from which there is no turning back. A firm believer in the values Cooperative Learning – the power of eye contact and focussed conversation – Mags introduced the unconference element to the 2009 #cesicon in the form of CESImeet, the now annual TeachMeet. Having served on the National Executive and as Secretary, she is now a CESI Ambassador. Other voluntary roles include Ireland Ambassador for EU Code Week, convenor of ScratchEdMeetup Ireland, and board member of Coderdojo Ireland. In real life Mags loves stitching, singing, and most of all, the friends and family stuff. You can view slides from her keynote here. Seán Gallagher (@seanictmayo on Twitter) is the Principal of Attymass NS, Ballina, Co Mayo – a two teacher school situated in the foothills of the Ox Mountains. Seán has returned to Attymass after a period on secondment to DES support services for teachers. Since the establishment of PDST following the merger of a number of support services in 2011, Seán was the Deputy Director with responsibility for ICT. During that time, he coordinated the design of all face to face ICT summer courses offered to teachers by PDST. He also wrote numerous articles for the INTOuch magazine detailing how technology can be embedded in Irish classrooms. In recent years, he contributed to the Digital Strategy for Schools (2015) and the Digital Learning Framework for teachers (2017). He has collaborated with the EU’s Joint Research Centre in Seville, Spain on the development of SELFIE, the online reflection tool to be used by School leaders, teachers and students to plan effectively to embed technology in teaching, learning and assessment. Delivered keynote address at INTO Education Conference 2017 – ICT in Education: Policy, pedagogy and practice. Ongoing work in Attymass National School was featured by the EU’s School Education Gateway at https://www.schooleducationgateway.eu/en/pub/viewpoints/experts/our-story-embedding-digital.htm This work was showcased by the students of Attymass NS at the 2017 CESI Conference and the ICT Showcase event for teachers organised by Maynooth University. Attymass NS has also been featured in a number of good practice videos produced by PDST Technology in Education showcasing how digital technologies are being embedded into teaching, learning and assessment. 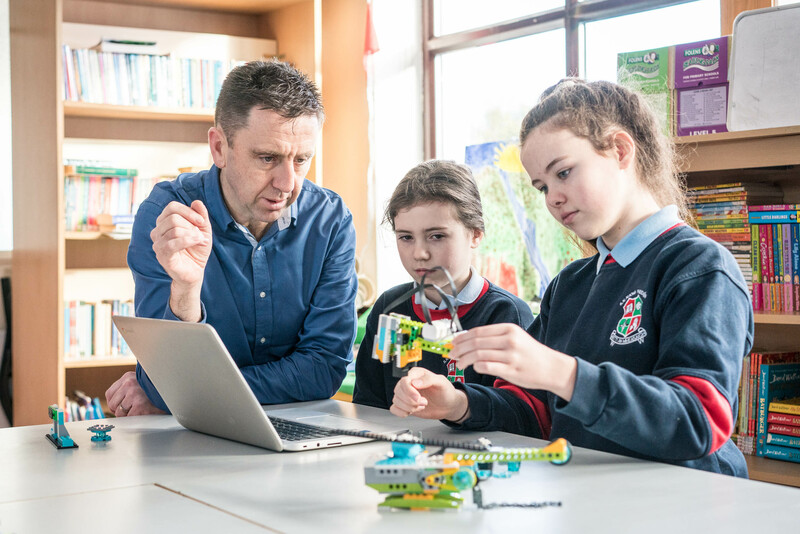 July 2018: Attymass NS selected as one of 25 institutions to receive a grant from Google in recognition of work being undertaken in relation to computational thinking and coding/programming (only institution in Ireland).